My first trip to Costa Rica was in March 2005. During that initial trip, the local real estate agent told me about the “New international airport that will be built soon.” Here we are twelve years later and still not another international airport. In the past 18 months there has been a lot of talk about a new international airport to be built in Orotina. From contacts I have, as recently as six months, after the formal announcement had been made, no wind studies or environmental studies had been conducted. I find it hard to believe that the Orotina airport is as much of a ‘slam-dunk’ as is being reported. The latest news is that we will all know more by the end of 2017. 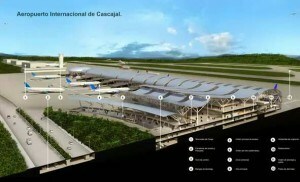 Below is an artist rendering of the Orotina airport. Is the airport going to be built in Osa? I would guess no. As much as I would love to have an international airport 30 minutes away from our development (believe me, prices would go up quickly! ), based on what happened the past 10 years from Oscar Arias announcing it, until now = very little of anything has happened. Osa currently doesn’t have the infrastructure in place to handle a project that large. I could argue it is a bit of a chicken-and-egg problem. The large hotel chains haven’t built here yet because there isn’t a reason to without an international airport. The feasibility studies would show that the region isn’t equipped to handle an international airport since there aren’t any large hotels in the area. It’s a circular argument. 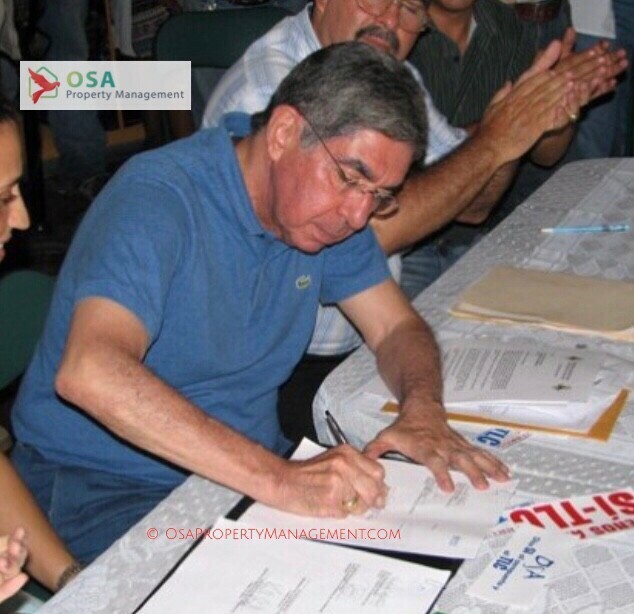 In addition, after the signing of the document [airport decree] by Arias, the people of Costa Rica voted on Costa Rica’s participation in CAFTA (Central America Free Trade Agreement) or TLC as it was known in Costa Rica. The Osa region voted against the measure, and it has been speculated that in retaliation for not supporting him, President Arias pulled the project out of Osa. By contrast, Limon on the Caribbean side, voted “Si” (yes) for the TLC, and soon after the vote, the Limon Port expansion was announced (Limon Moin Container project). Regardless of the real reason why the airport was never started in Osa is still up for debate today. I have spoken with Osa Mayor several times, and he is continuing to try and push the project forward. However, he understands the difficulty of getting the politicians in San Jose, four hours away, to listen. (Central America Free Trade Agreement) or TLC as it was known in Costa Rica. The Osa region voted against the measure, and it has been speculated that in retaliation for not supporting him, President Arias pulled the project out of Osa. By contrast, Limon on the Caribbean side, voted “Si” (yes) for the TLC, and soon after the vote, the Limon Port expansion was announced (Limon Moin Container project). 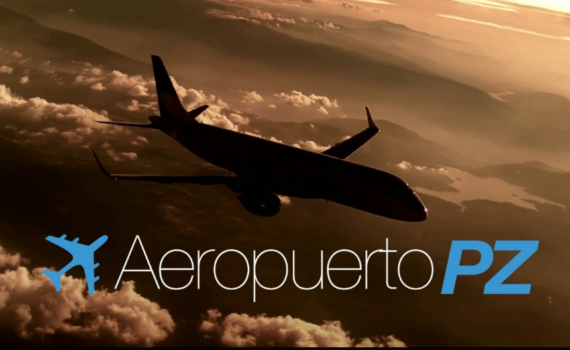 Another option that has quickly, and quietly, been worked on is to build a new airport in the San Isidro de el General, Perez Zeledon. Although not technically in Osa, it would be a great advantage for owners in Las Villas de San Buenas. The reason why this would be great for Las Villas de San Buenas is that currently San Isidro is only 75 minutes away. I have it confirmed by several sources, that the Osa municipality and the municipality of San Isidro are in late planning stages for improving and paving the road from the southern area of San Isidro that leads into Uvita. When this road project is completed, the trip to San Isidro will be cut down to approximately 45 minutes. Regardless of which location is chosen, it will be a benefit to us here in the Osa region. I can’t guarantee when or where exactly, although I would estimate that the timelines are at least five years away. The one thing I can guarantee, is depending on where the location is chosen, land prices will go up quickly or VERY quickly. My thoughts have not changed regarding the feasibility of a southern zone international airport - I don't believe it will be built in Osa...I don't believe it will be built in the province of Puntarenas. At this point, based on conversations I've had with administrators and politicians, the best bet is still Perez Zeledon. San Jose's Juan Santamaria International airport continues to expand - as of last week they have signage for 20 gates, although only 15 are open and operating. One can see the work that is being done right now to expand it to 20. The new domestic airport terminal has been completed next door to Juan Santamaria, solidifying at least some flights will continue to be flown out of the current airport location.